We had the week off from classes, so I tried my best to get some of the things that have been piling up on my back burner out of the way. Also, Jacki came down for a visit. It was a pretty chill visit, she had a job interview here, and we went out for Thai food and did a little shopping. It was a good time, and I brought my camera, but still somehow failed to take pictures. 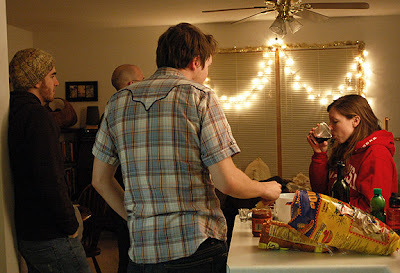 I did however take pictures from a couple weeks ago when our good friends came down for Nate's birthday. It was so nice to catch up with our Oshkosh friends, we've been missing them! We've had a busy last few weeks around here, and I've still managed to be somewhat productive. Here are a couple of projects I've recently finished (or gotten around to taking pictures of). 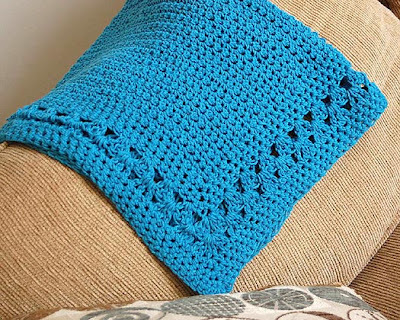 The first is a baby blanket for Nate's cousin's new baby boy Jeremy. This is a hat I made for my sister that is on the way to her in the mail. It is super soft and cozy and I love the yarn. 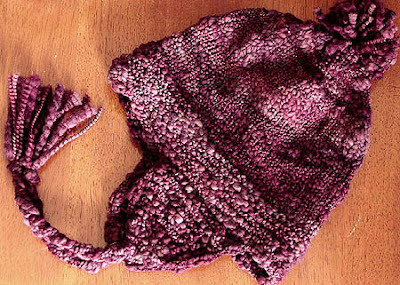 It is Farmhouse Yarns lumpy bumpy yarn. 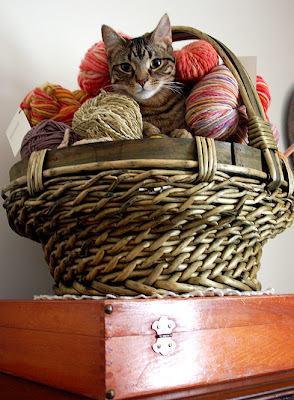 Can you find the naughty kitten? I wanted to thank all of you who replied to my last post and who e-mailed me, we are doing a lot better here. Classes start back up again tomorrow, and I hope with that the healing process will begin for our campus. I hope you all are doing well too.